Get a group of friends together and enjoy this recreational co-ed softball league. The league will consist of eight teams playing a seven game schedule with a single elimination tournament for the top 4 teams at the end of the season. Games will be played on Friday nights at 6:30, 7:30, 8:30 and 9:30 pm. A trophy will be awarded to the league champion. 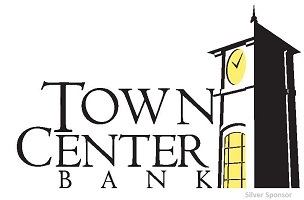 Cash prizes will be awarded to the league champion and runner-up. A non-refundable $225 deposit is due at the time of registration to hold your spot in the league. The balance is due on Friday, June 28th, to ensure placement into the league. Team rosters, rules and softballs will be available for pick up on or after Friday July 5th at the Founders Center, 140 Oak Street. Click here for a complete list of rules and regulations. 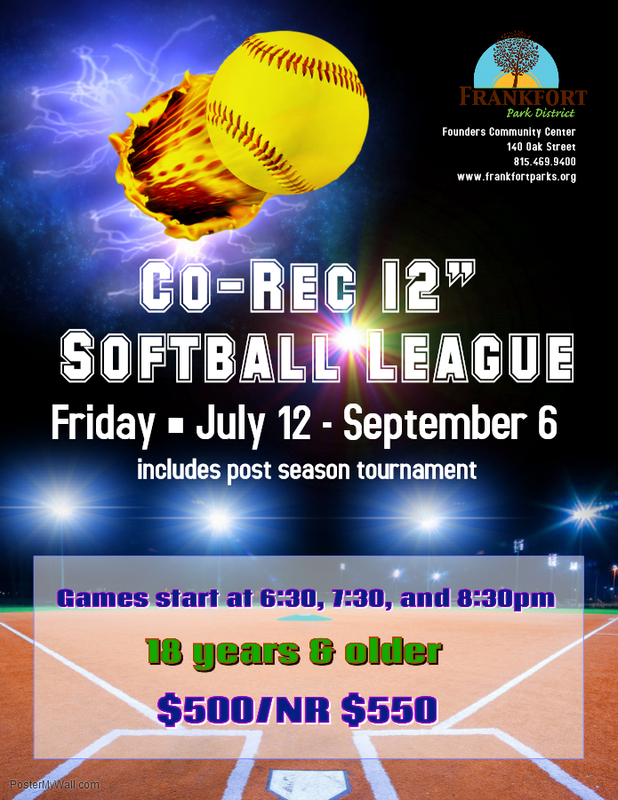 Text SS2019FRI to 84483 to receive Summer 2019- Co-Rec Friday Night League alerts from Frankfort Park District. Click here to view the 2019 Summer Schedule & Standings.